FIVE key band members have left Leonard Zhakata to form their own music outfit called Vagoni Vebasa saying Zhakata was now focusing on church matters. 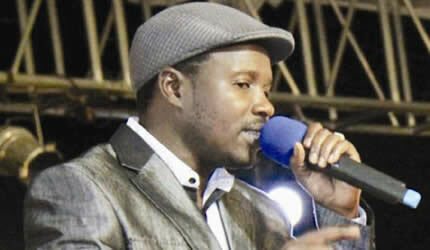 The five — George Chembere, Taurai Munyanyi, Noword Mawire, Arnold Muchenje and Joel Marunye – are already staging shows. Tonight the group performs at Joy Centre Night Club in Glen Norah. Lead vocalist Muchenje said they decided to move on because Zhakata was cancelling some of the shows that clashed with his church days. “We worked very well with Zhakata but we are family men so the income we were getting was slashed and we decided to form our own music outfit,” he said. The group said they have been performing Zhakata’s songs since they are still to record their own album. In November last year, Zhakata received a prophecy from United Family International founder Prophet Emmanuel Makandiwa that he would soon become a bishop in the church. Zhakata was heard responding “I receive” amid applause from the congregants. Though he occasionally stages shows, he has changed and is fast turning his life to be a fully-fledged man of the cloth. Previously, musicians such as Zexie Manatsa and David “Mr Bulk” Chiyangwa changed from being secular musicians to gospel artistes. Born in 1968, Zhakata shot to fame as his danceable beats enthralled concert-goers across Zimbabwe. He rose to prominence in the 1990s. Zhakata’s musical career started with the Maungwe Brothers. Joining hands with his cousin, Thomas Makion, in the late 1980s the pair released two albums before splitting to pursue solo careers. Makion was a backing vocalist on Zhakata’s smash 1994 solo album “Maruva Enyika”, which spawned the huge hit “Mugove” and sold more than 120 000 copies. Zhakata returned the favour by backing Makion on his solo album of the same year, “Makorokoto”. He is probably the greatest wordsmith in local music and his songs are saturated with lyrical depth.